are always jam-packed with cars, buses and other motor vehicles? Of course, you have. 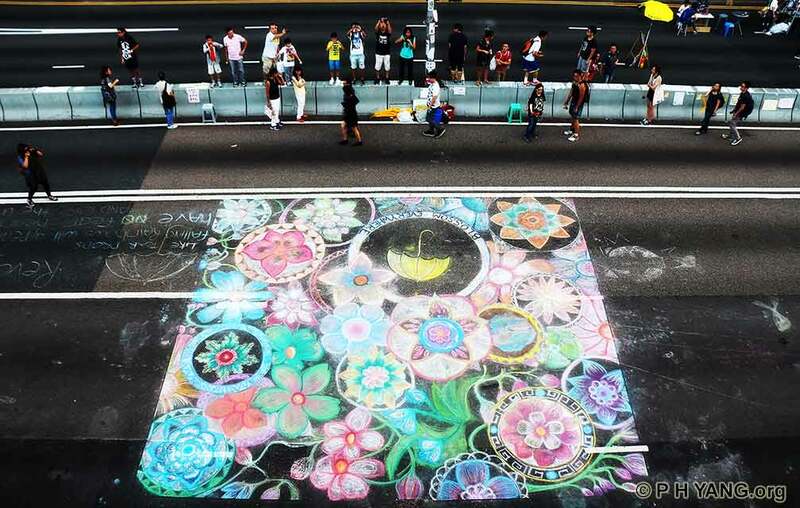 But have you seen the roads car-free and overflowing with tens of thousands of people? zones at Admiralty, Mongkok, Causeway Bay, Tsimshatsui... everyday. 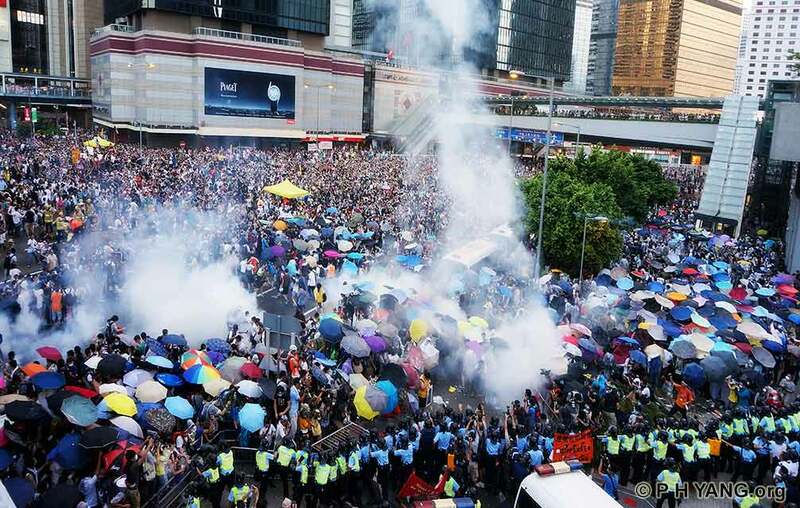 Beijing to fight for democracy and genuine universal suffrage. 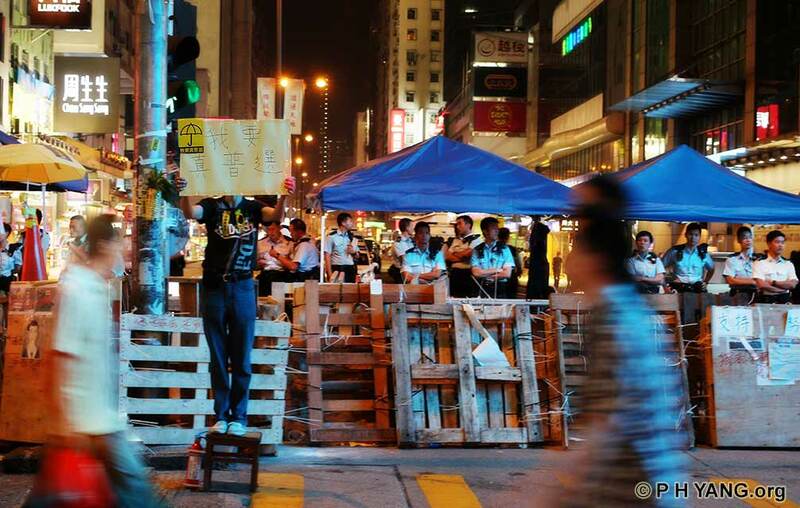 visit to the Admiralty Occupy zone. 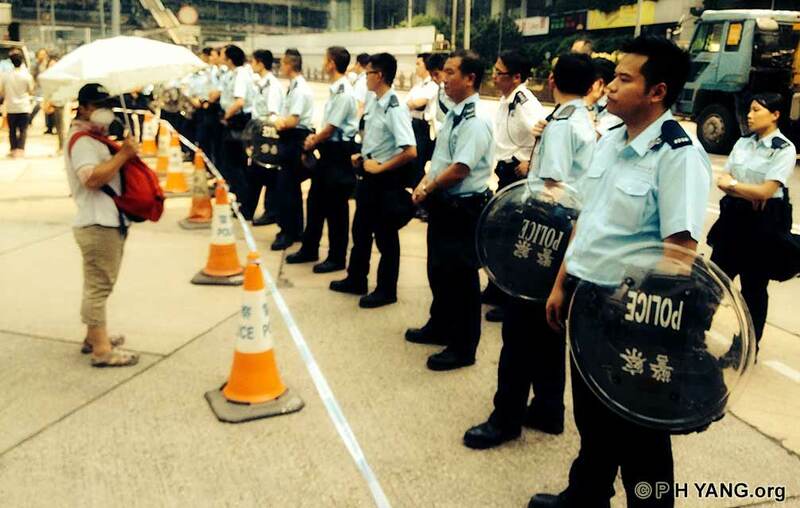 of the protesters, which is quite different from the clashes she saw on TV. 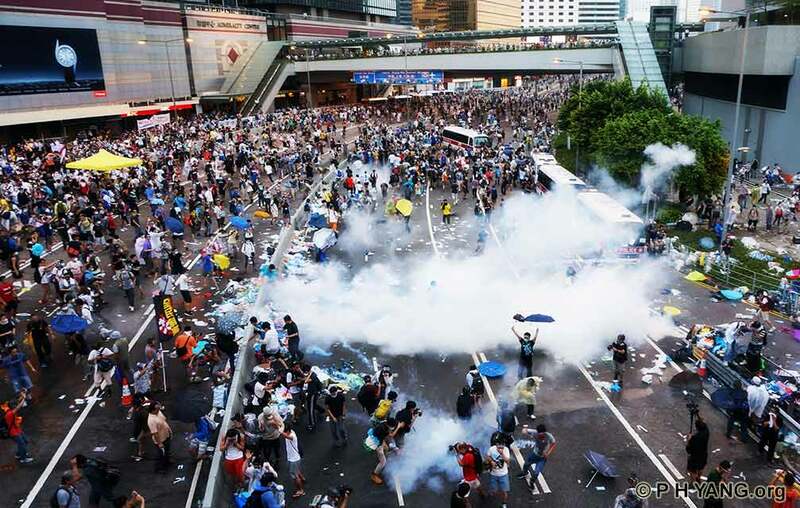 election of the Chief Executive of Hong Kong in 2017.
bill for the political reform. 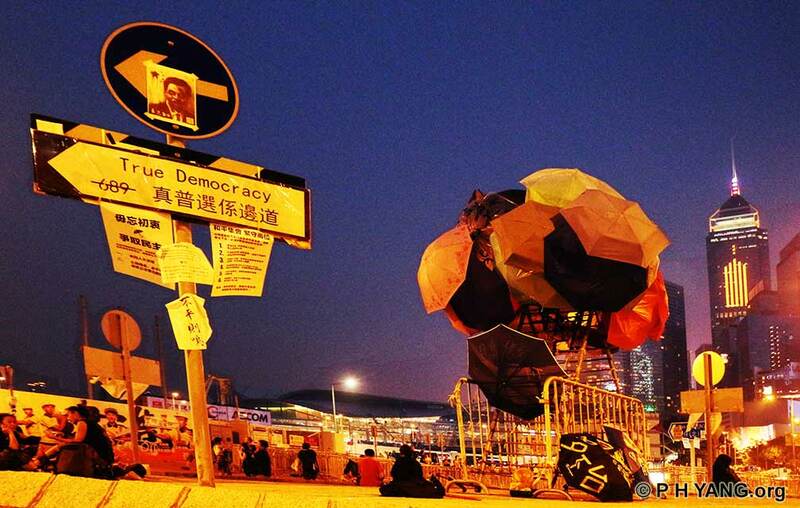 Beijing's highly restrictive framework on election reform and to fight for true suffrage. 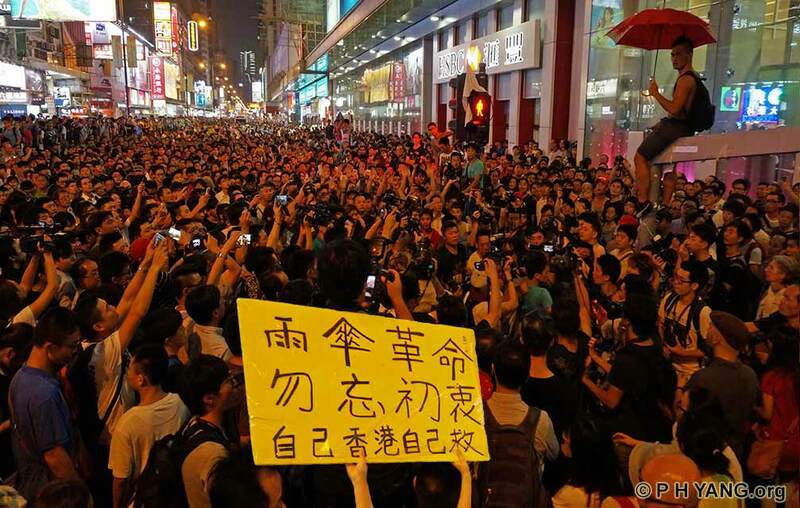 protest against Beijing’s highly restrictive framework on the 2017 chief executive election. 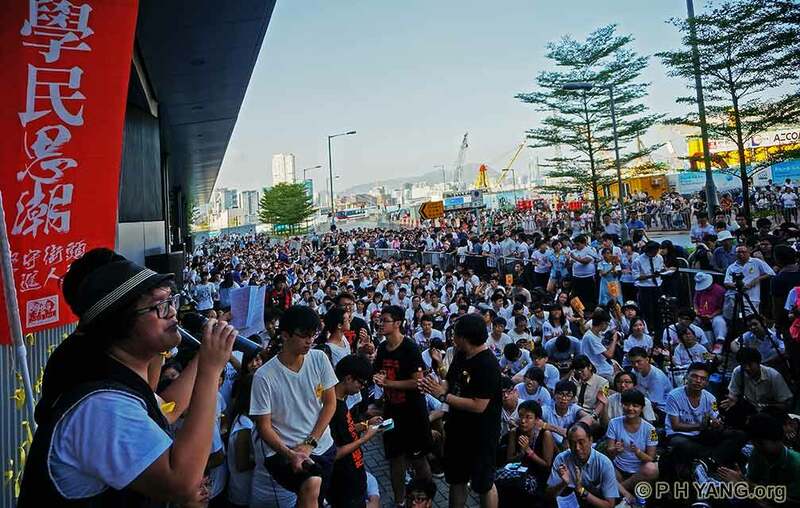 High school students plan to join the boycott for a day on Friday, 26 September. patriotic national education programme in high schools two years ago at the same location. 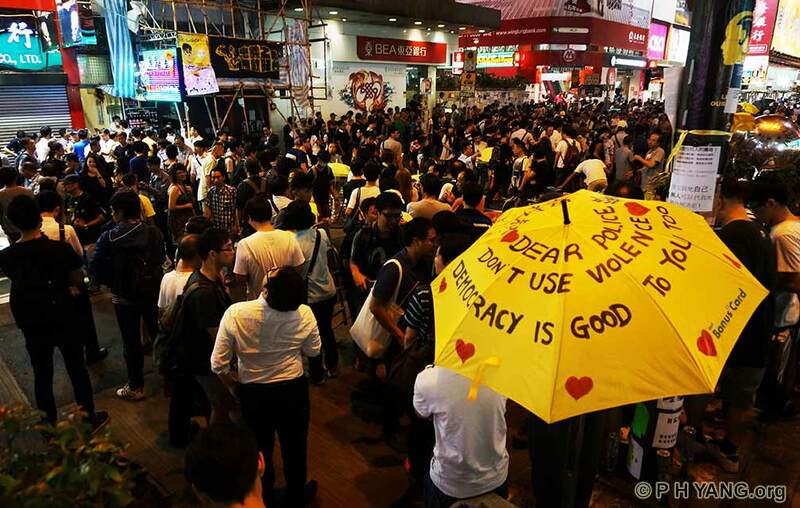 framework for electoral reform and to demand true universal suffrage. class boycott on Monday for a week. 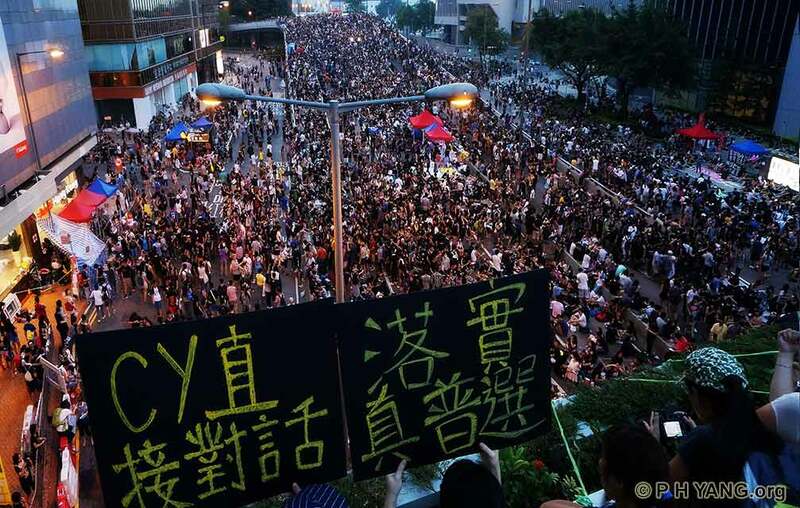 reform and to demand true universal suffrage. 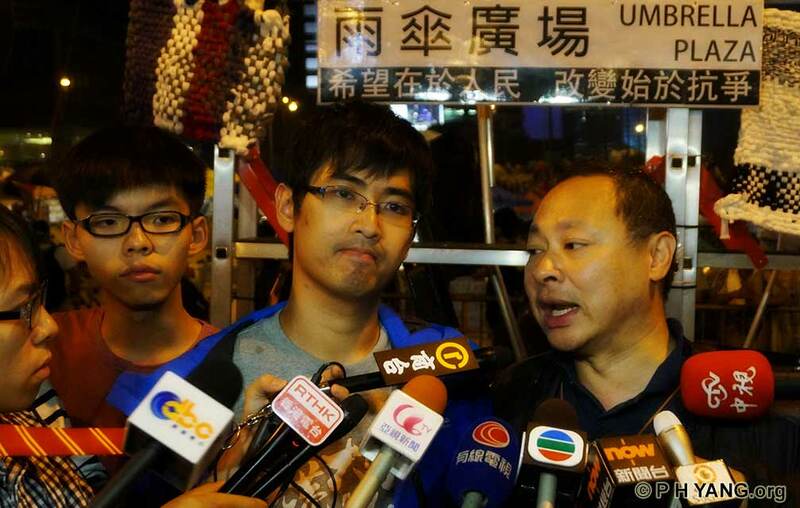 to withdraw the patriotic 'national education' programme in 2012.
was recorded at 6 pm at the end. on 1 October 2014, China's 65th National Day. and demonstrators since the 2005 WTO protests. protesters indiscriminately and are totally unwarranted. them by the police in full riot gear and gas masks. canisters. Most dispersed, took cover but regrouped after 10-15 minutes. 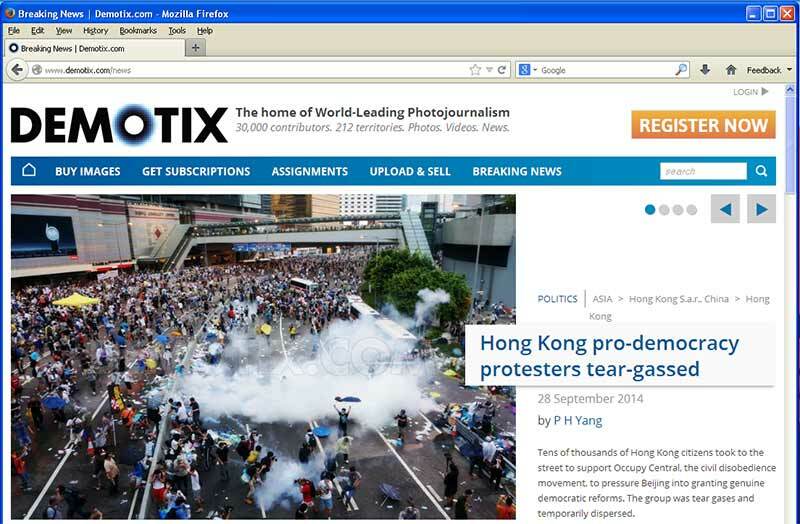 protesters indiscriminately and are totally unwarranted causing unnecessary harm. heart of Causeway Bay, one of the busiest shopping and dining area in Hong Kong. 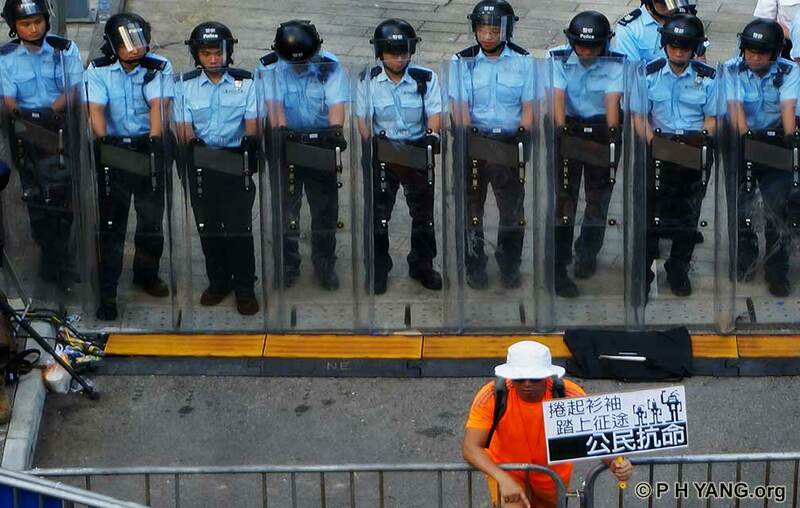 genuine democratic reforms, at government headquarters at Admiralty. been seen on the street today. 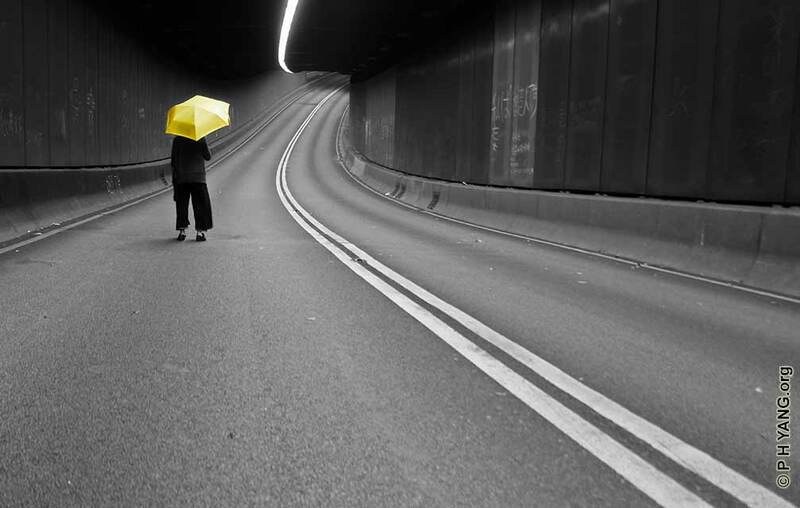 of Hong Kong. 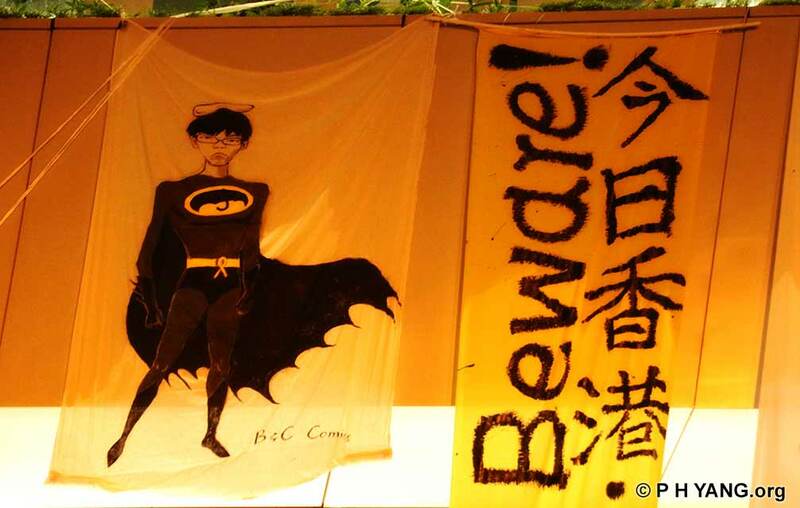 A huge banner reads: 'Peacful Rally, CY Leung Step Down, We Want Real Suffrage'. 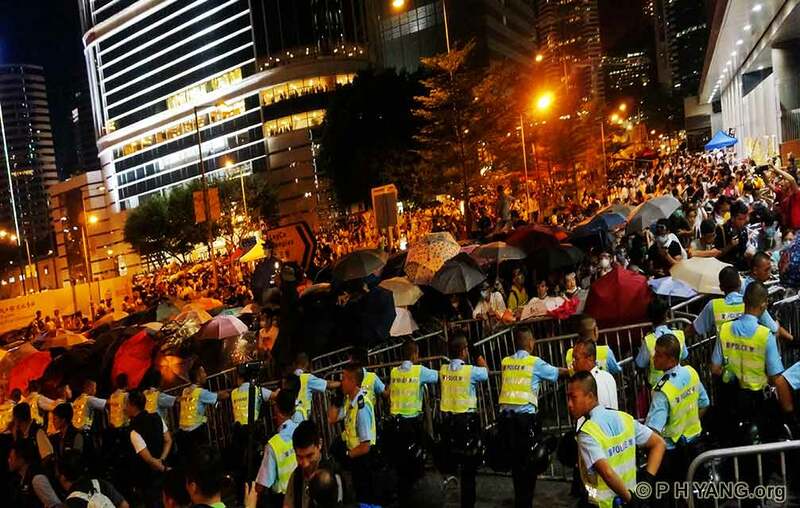 democratic reforms, at government headquarters at Admiralty. had not been seen on the street today. 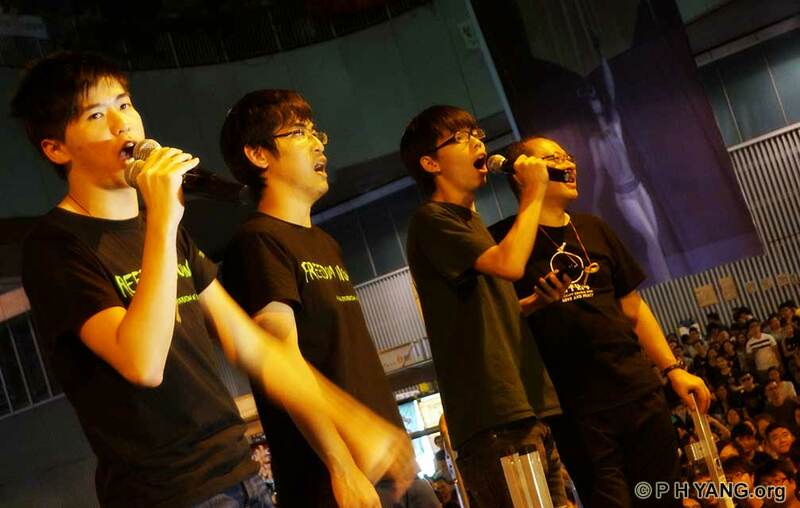 their protest against Beijing's reneged agreement to grant them open elections by 2017. 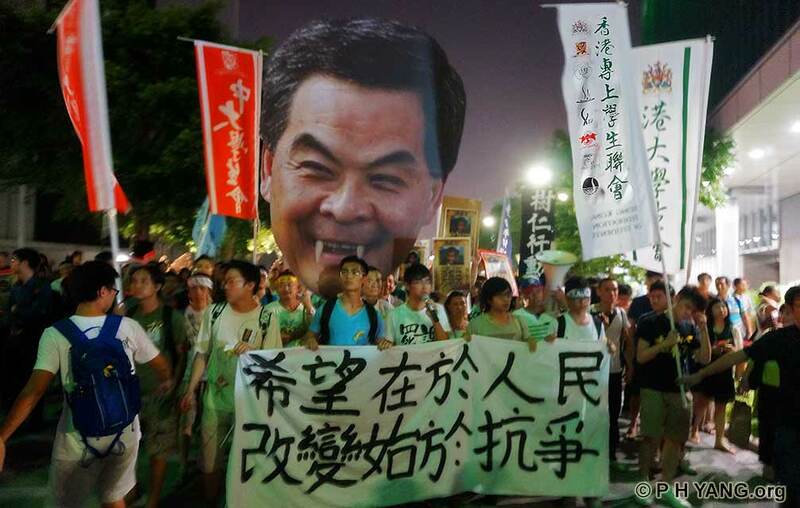 'CY Leung to have Direct Dialogue [with protesters] and Real Suffrage'. interesting art installations throughout the protest areas. 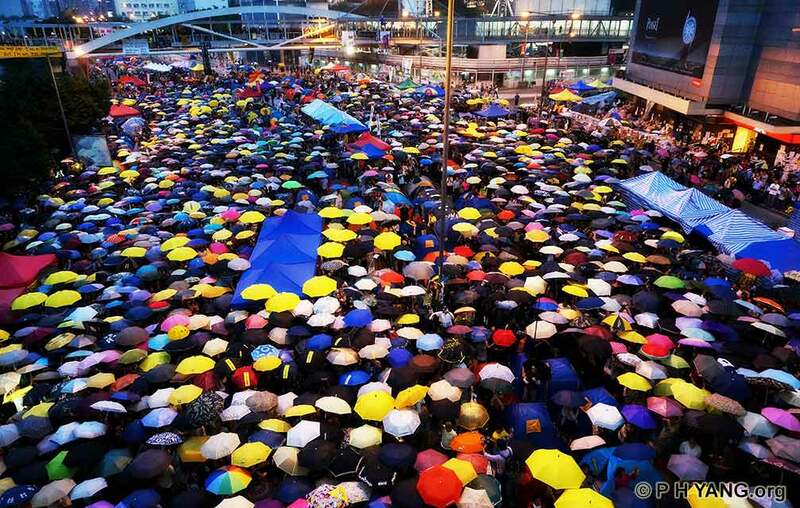 that had been dubbed the "Umbrella Revolution" by social media. 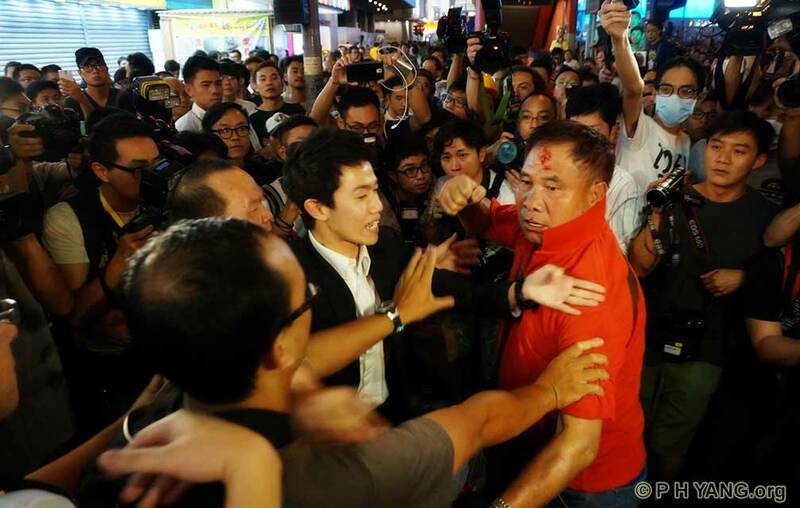 confusion and jostling as police did very little to control the situation. 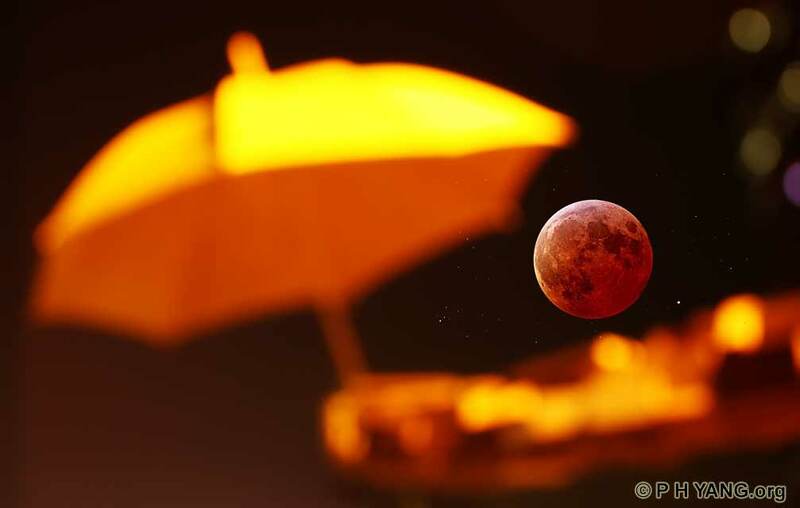 holding up a red umbrella. 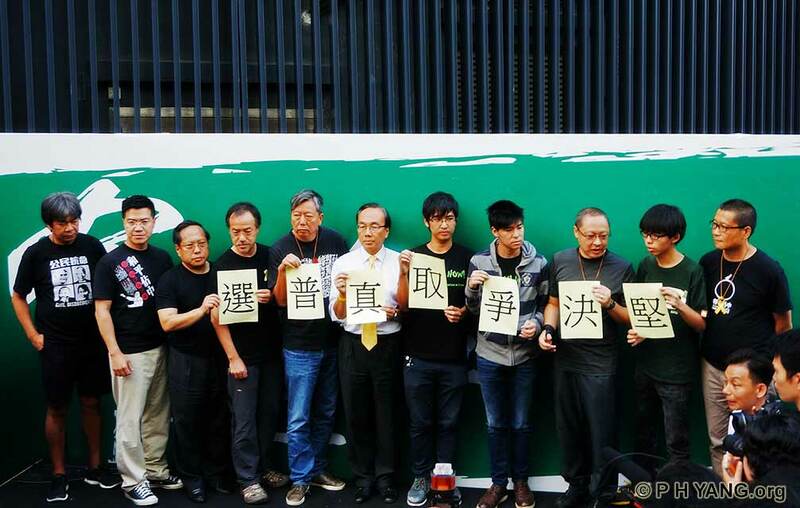 suspected triad and pro-Beijing groups. 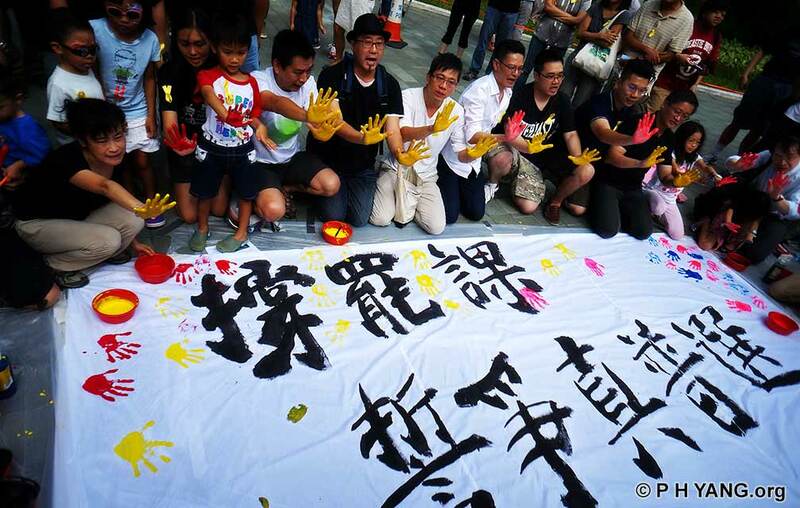 to fight for genuine universal suffrage. talks immediately if their conditions are met. 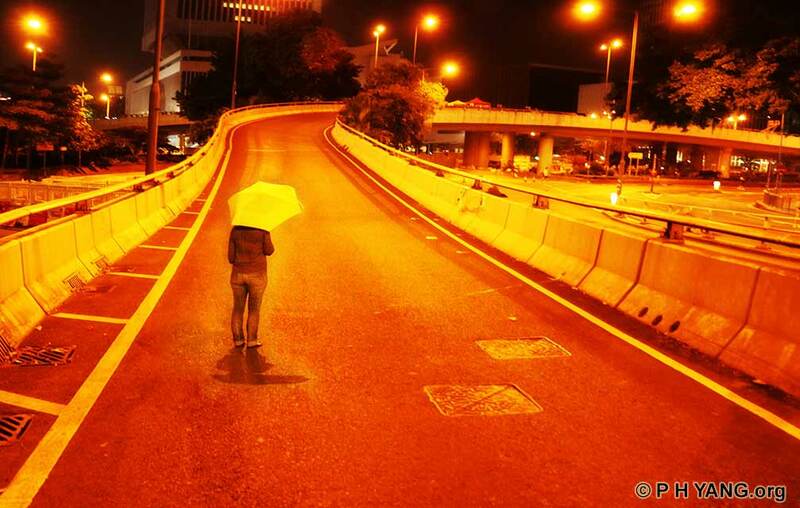 solidarity with the Occupy Central. just below the 'Stand By You' projection. 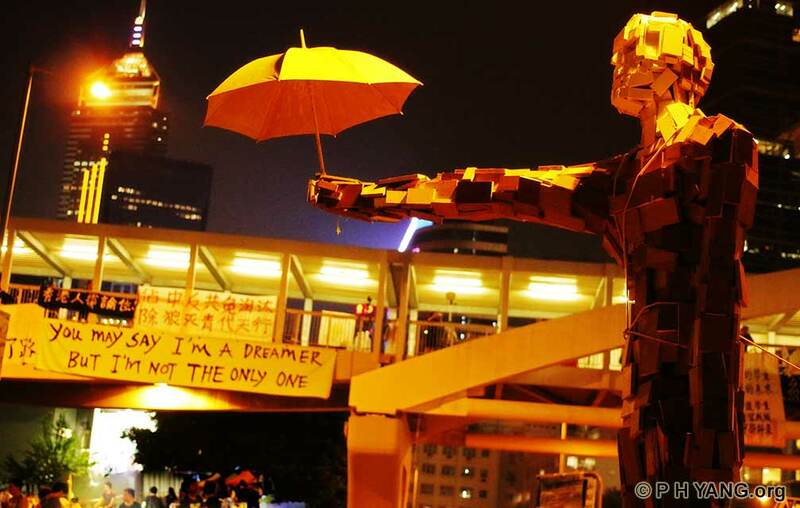 as a three-metre tall statute holding a yellow umbrella. 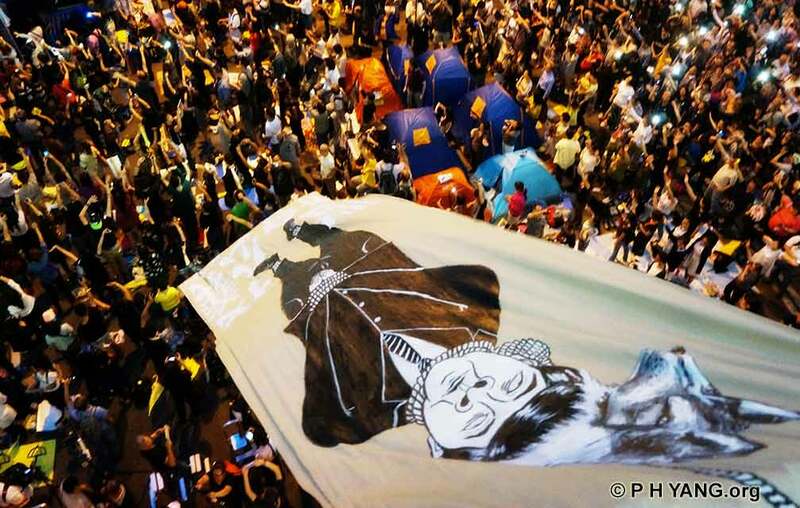 of Occupy Central and the Umbrella Movement in Hong Kong. as it entered the earth's shadow. government which did not offer any concession in the face of mass protest. 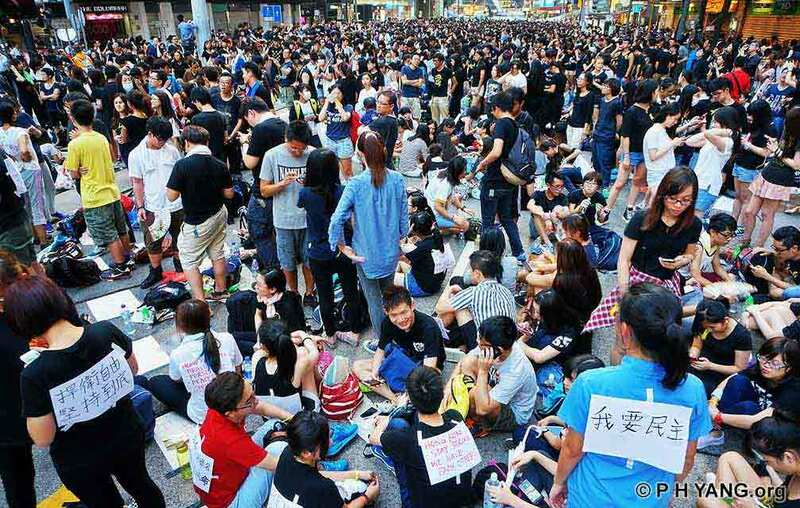 citizens to fight for genuine universal suffrage. 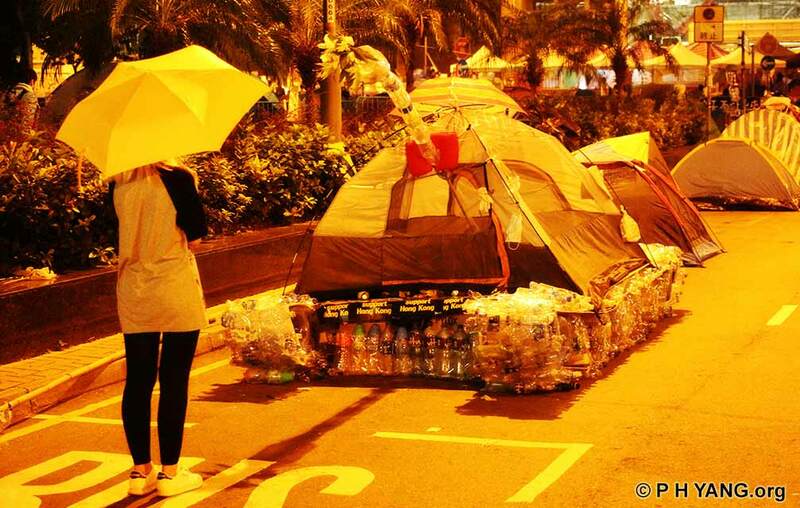 tents are popping up in Admiralty, Mongkok and Causeway Bay. are leaving the city for a regional forum in Guangzhou. estimated 700 tents has been pitched with thousands staying overnight. Causeway Bay to a lesser degree. him when Joshua turned up to speak at the rally last night. 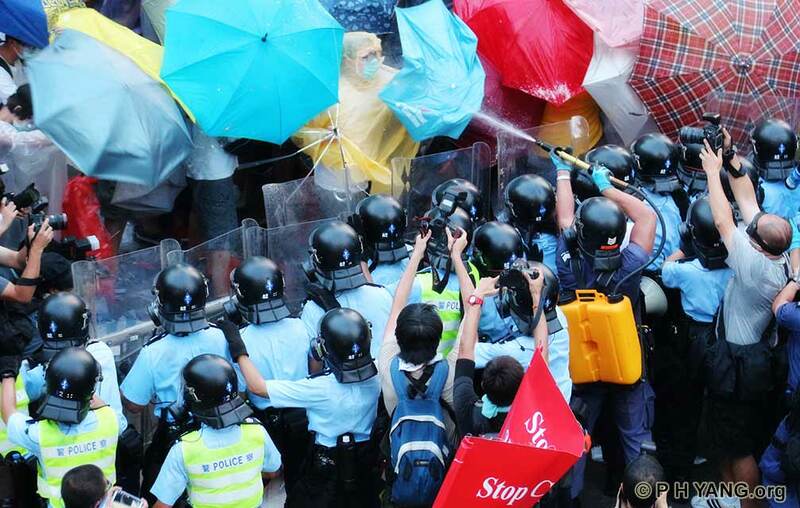 deployment of pepper spray or tear gas. peaceful protesters offered no resistence. within 12 hours of my posting below. 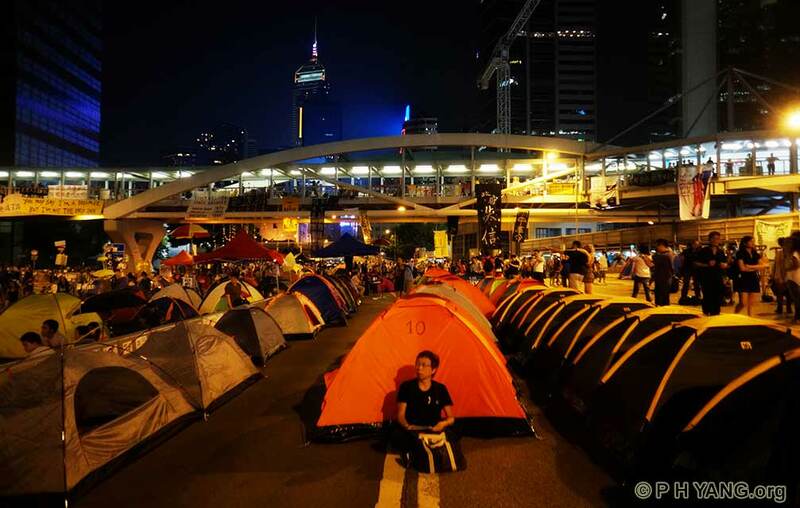 it into an Occupy zone with thousands of people and hundreds of tents. 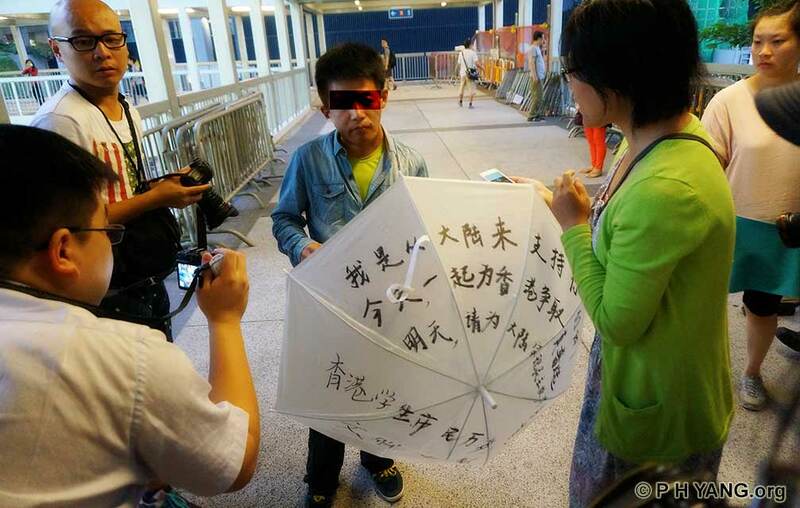 protester has created an uproar worldwide. 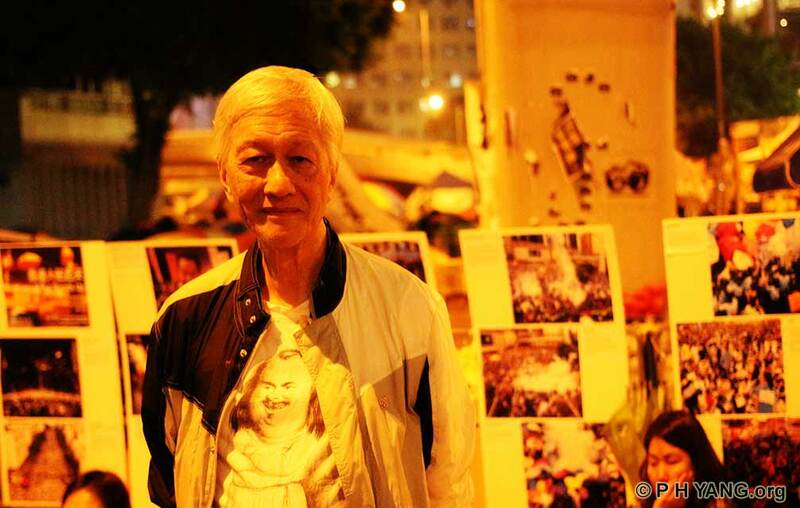 Mr Wang from Shandong comes to Admiralty to show his support for Occupy Central. 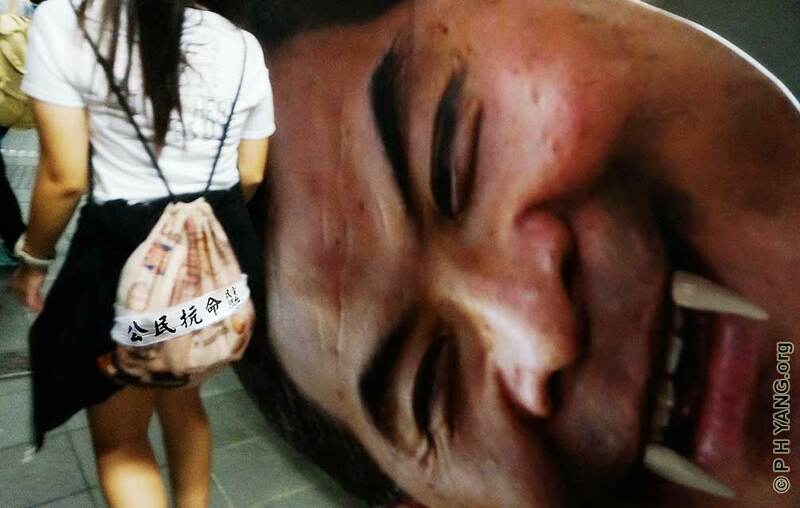 today and for Mainland tomorrow. 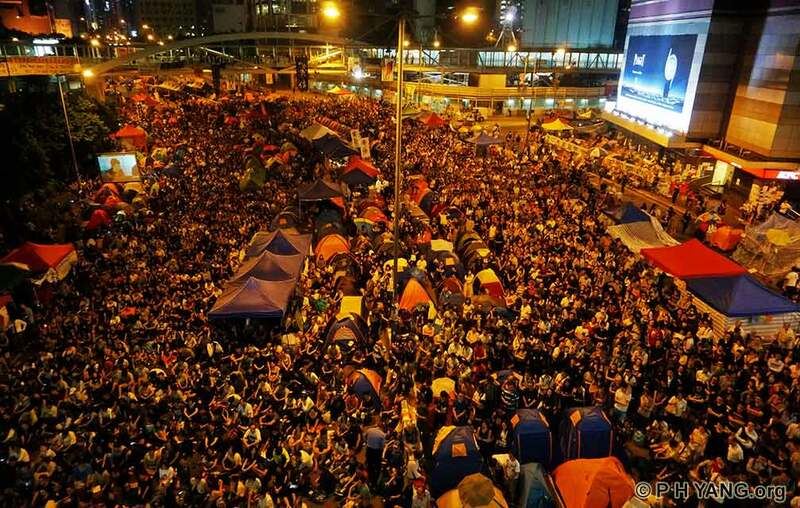 Long live Hong Kong students and citizens." Nathan Road between Argyle Street and Dandas Street plus some side streets. later isolated by the police and got onto an ambulance. No arrest was apparent. 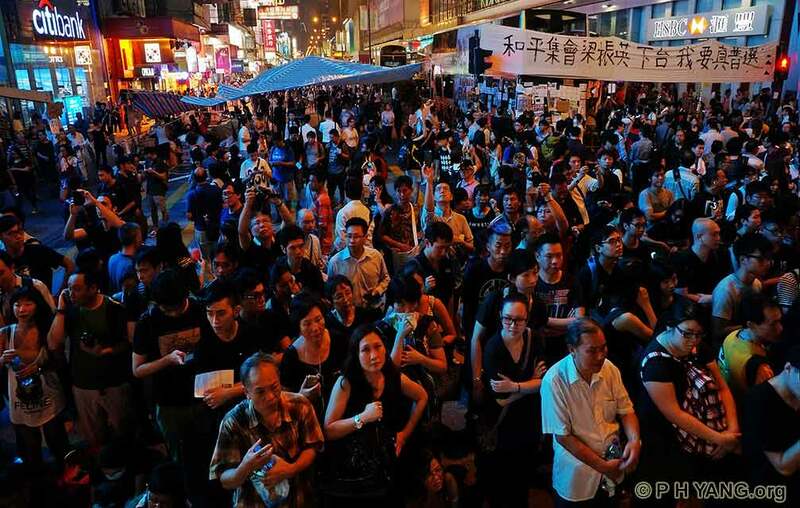 reform proposals at 'Umbrella Plaza' in the Harcourt Road Admiralty Occupy zone. 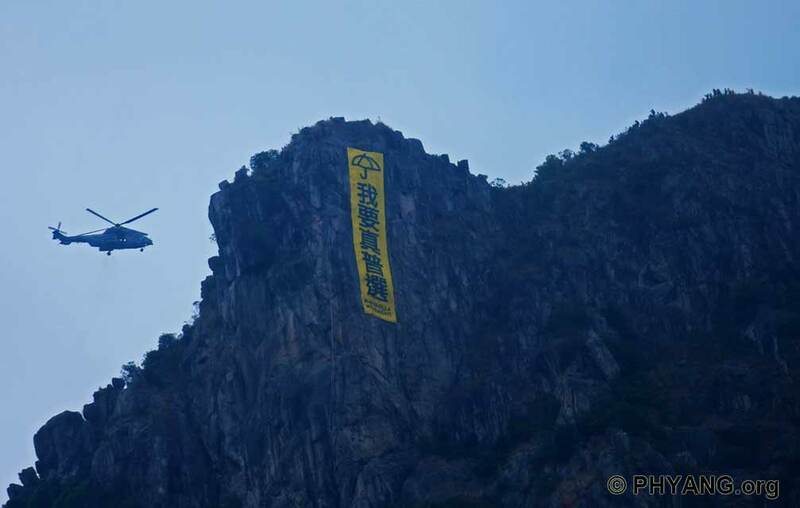 Lion Rock by a rock-climing group named 'The Hong Kong Spidie' after Spiderman. 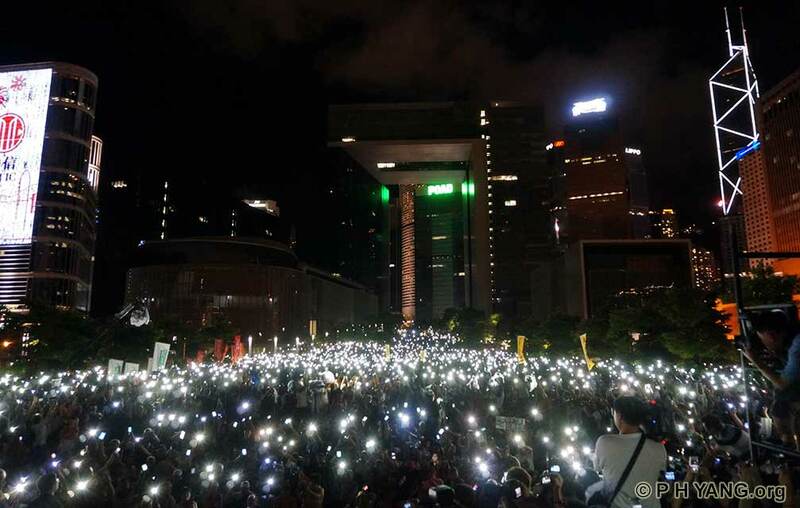 will live forever in the heart and mind of most people in Hong Kong. 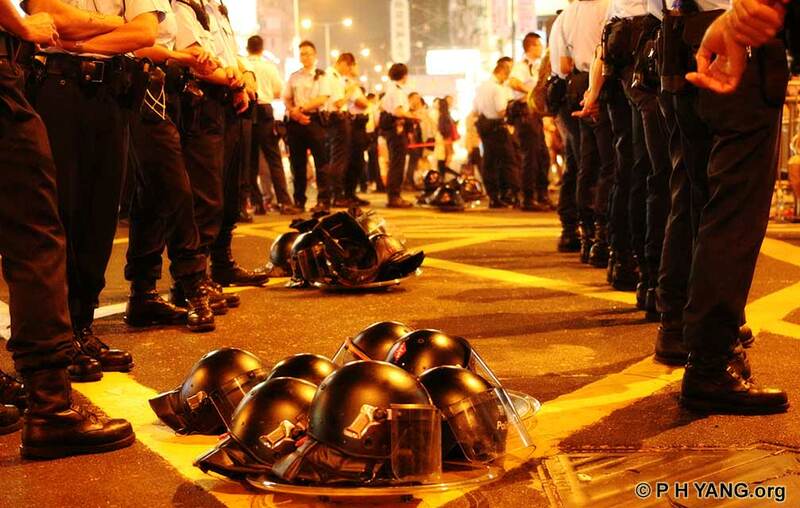 occur between protesters and the police. of 50%, according of the latest Chinese University poll in September. the police and the protesters. 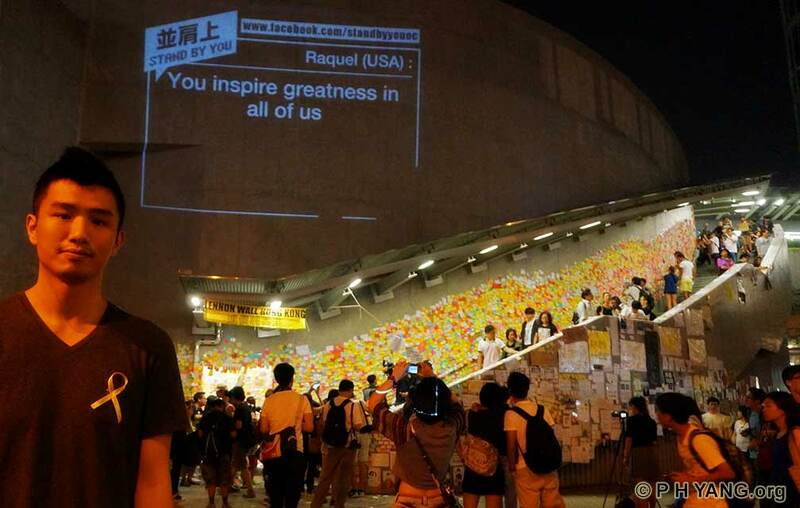 scattered throughout the Occupy zones. rights including democracy and genuine universal suffrage. 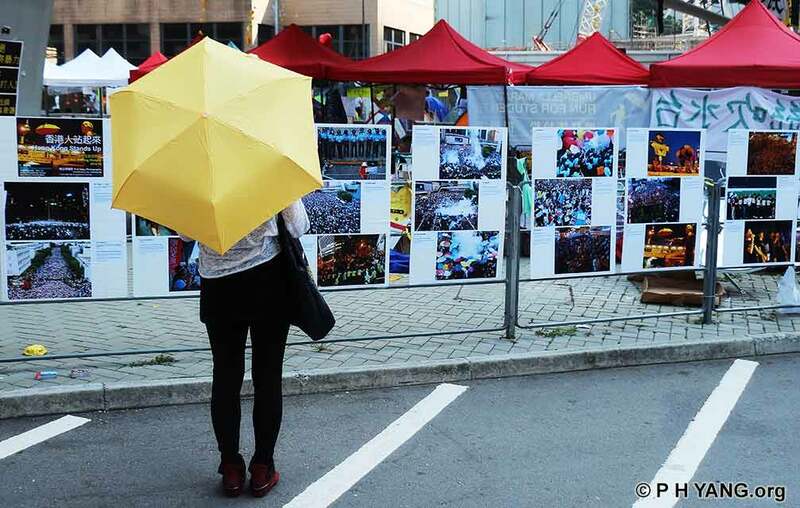 Political Rights (a landmark treaty signed by China in 1998) has not been met. towards meeting the demands of the protesters. 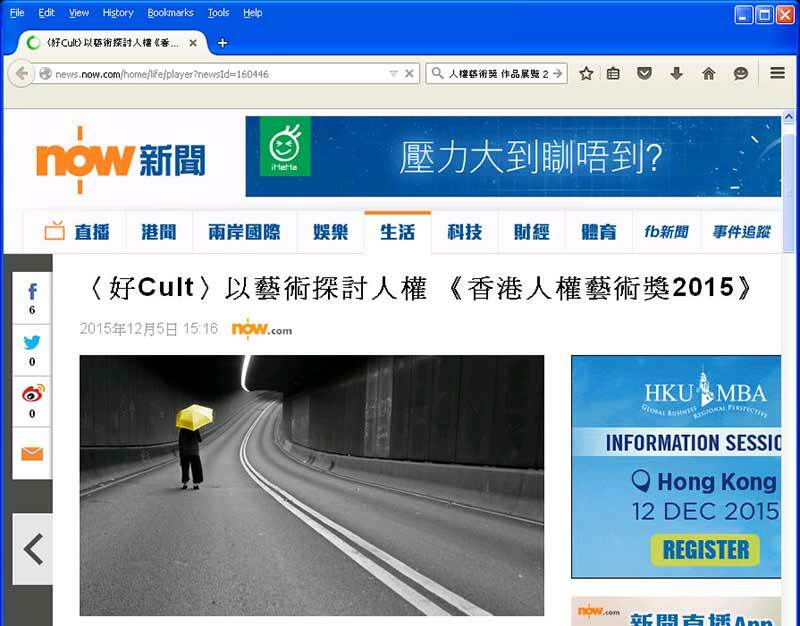 2015 Hong Kong Human Rights Arts Prize on 10 Dec 2015. 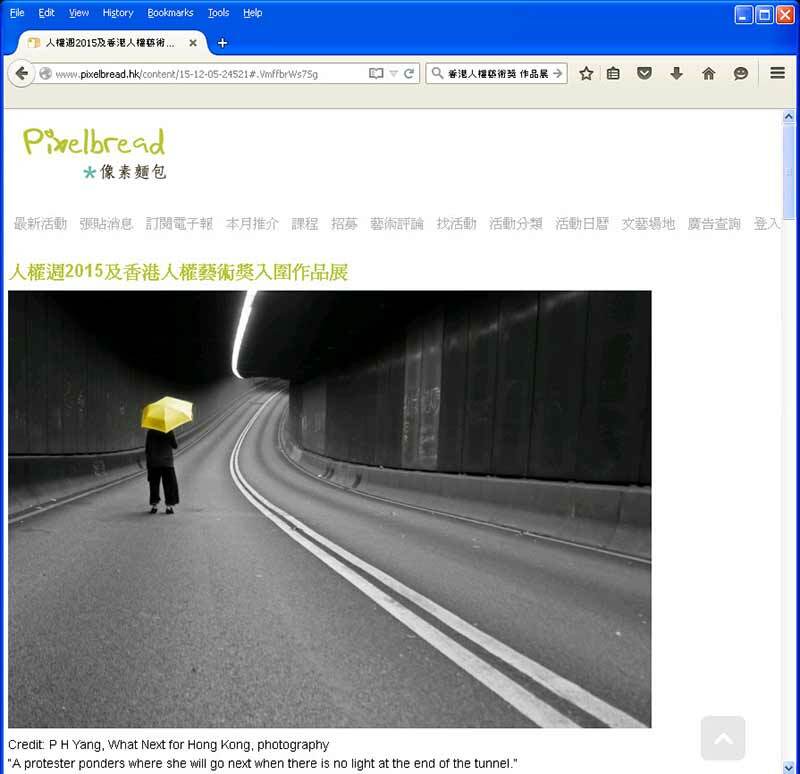 It was auctioned by Christie's for HK$21,000, beyond the estimate price range. Ten limited edition reprints are first to be sold out for HK$20,000. 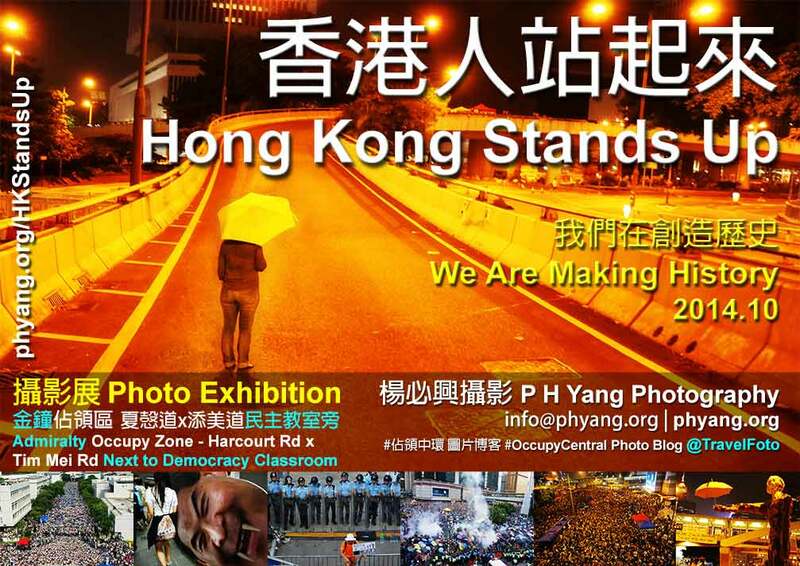 All proceeds are donated to Hong Kong Justice Centre. 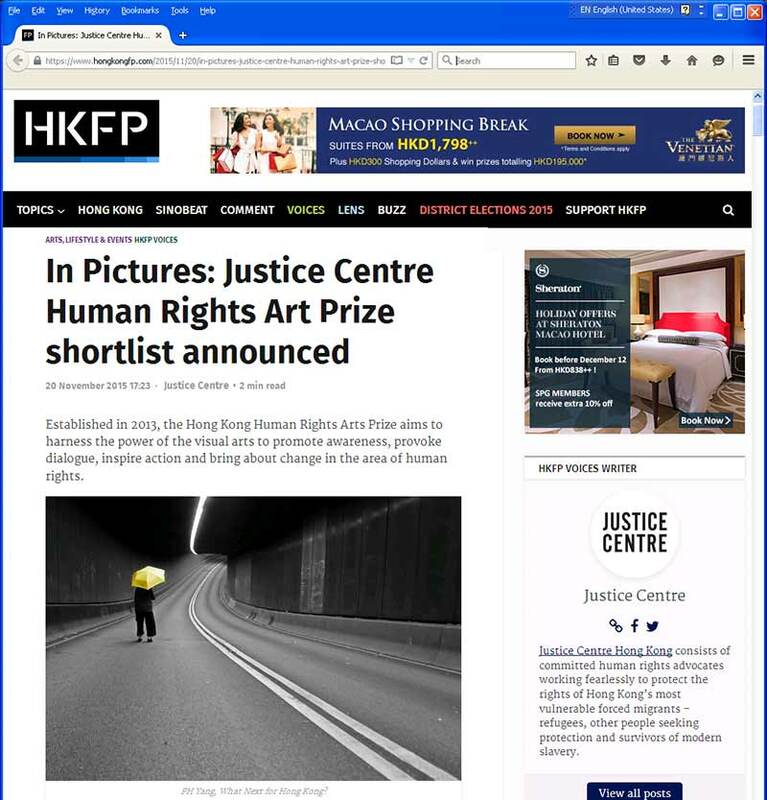 2015 Hong Kong Human Rights Arts Prize finalists covered by South China Morning Post. 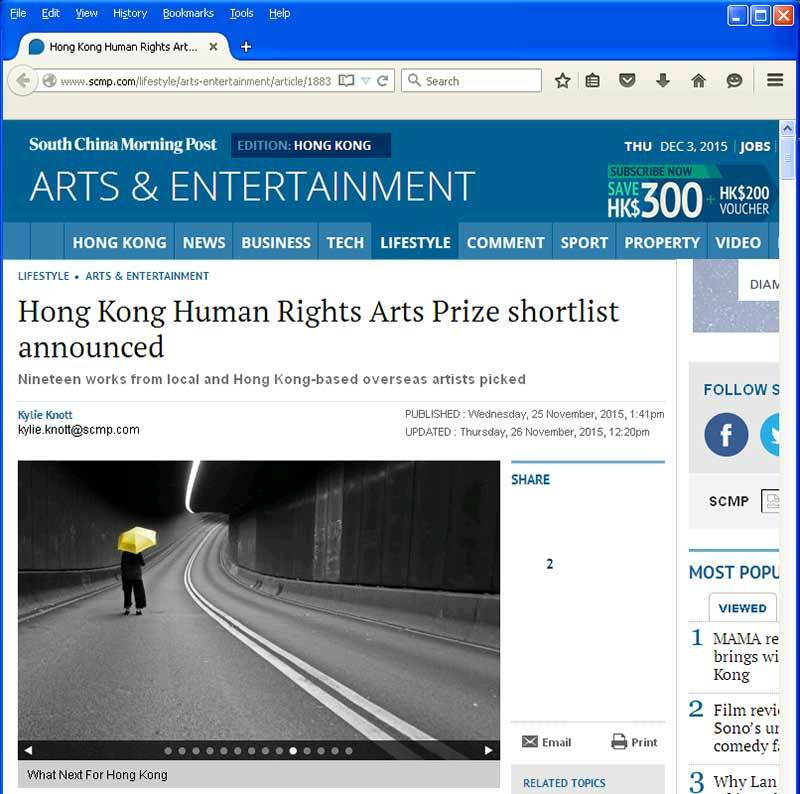 2015 Hong Kong Human Rights Arts Prize finalists covered by NOW TV News. 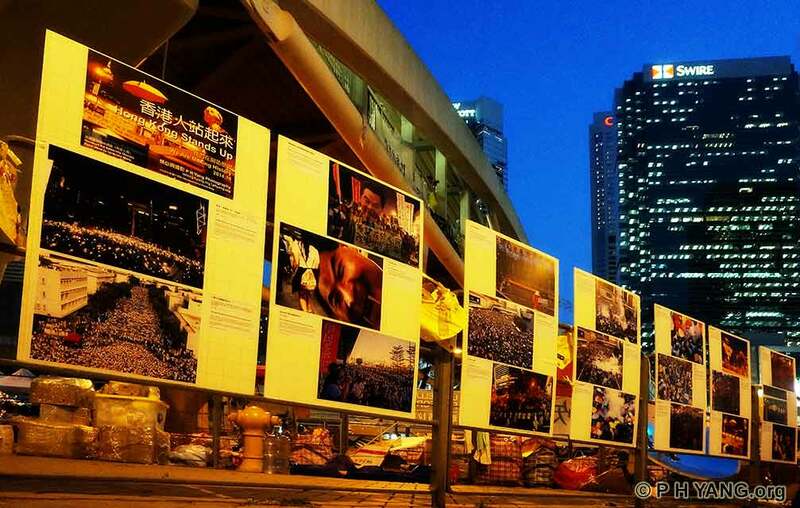 2015 Hong Kong Human Rights Arts Prize finalists covered by Pixel Bread. 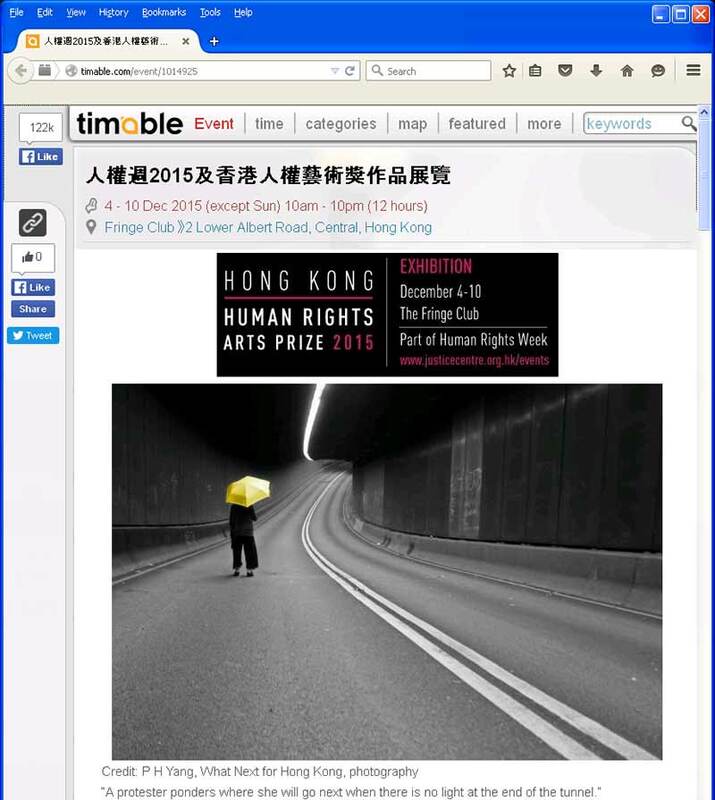 2015 Hong Kong Human Rights Arts Prize finalists covered by Timable. 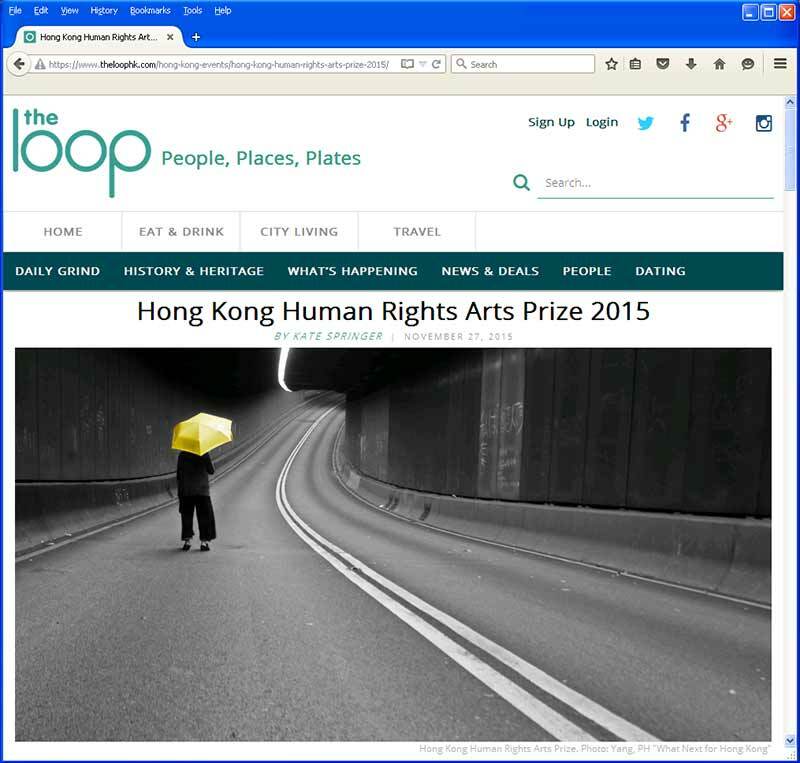 2015 Hong Kong Human Rights Arts Prize finalists covered by Loop. 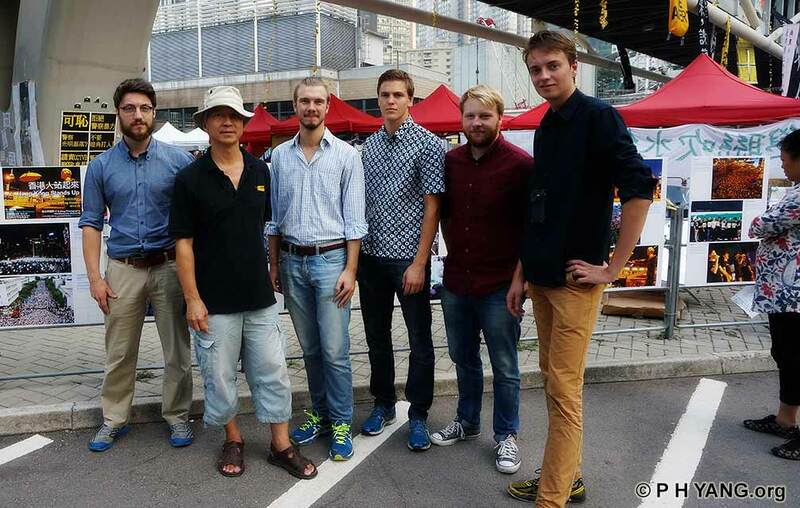 2015 Hong Kong Human Rights Arts Prize finalists covered by Hong Kong Free Press. 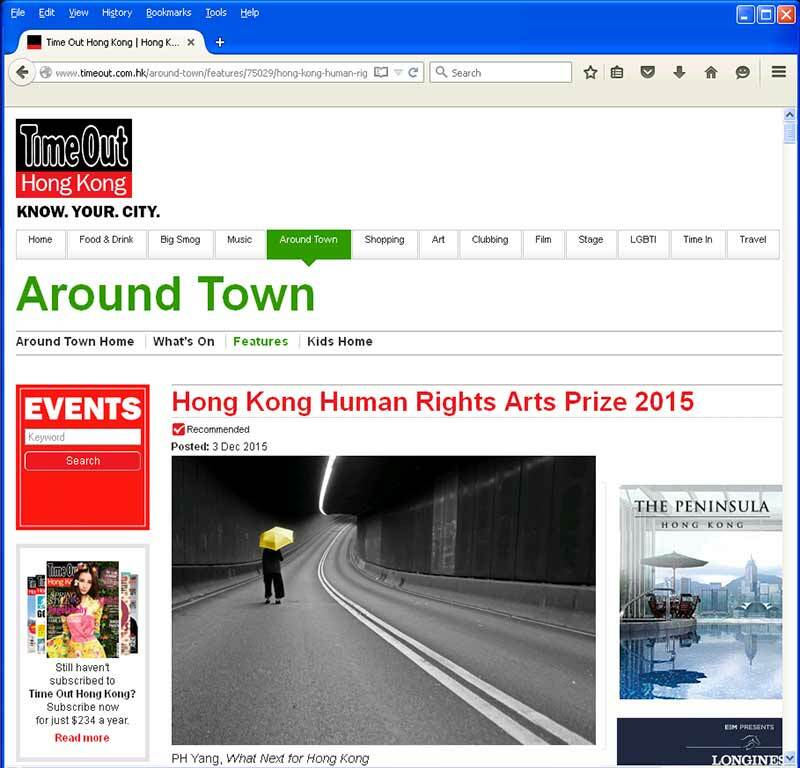 2015 Hong Kong Human Rights Arts Prize finalists covered by Timeout Hong Kong. 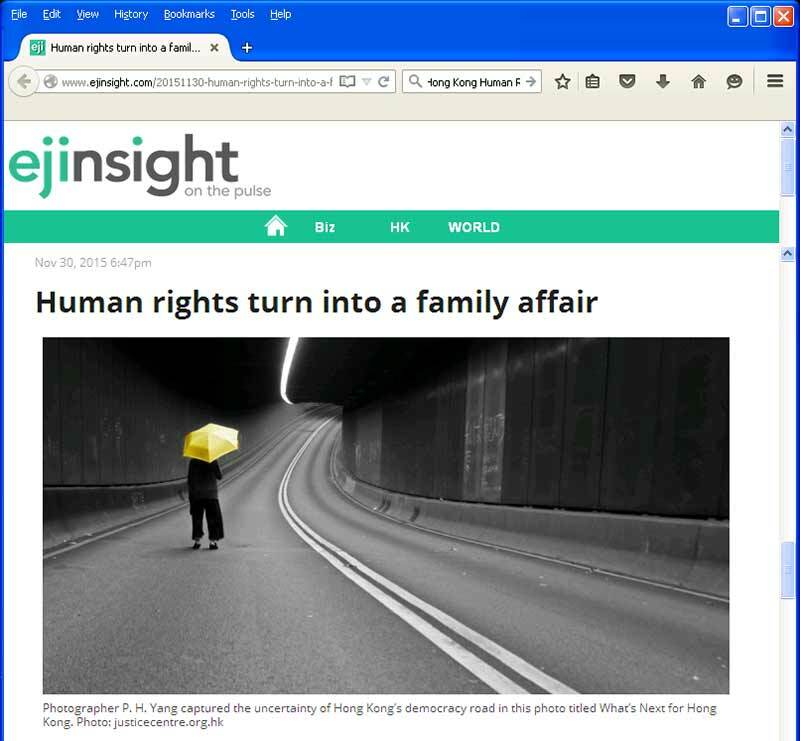 2015 Hong Kong Human Rights Arts Prize finalists covered by EJ Insight.